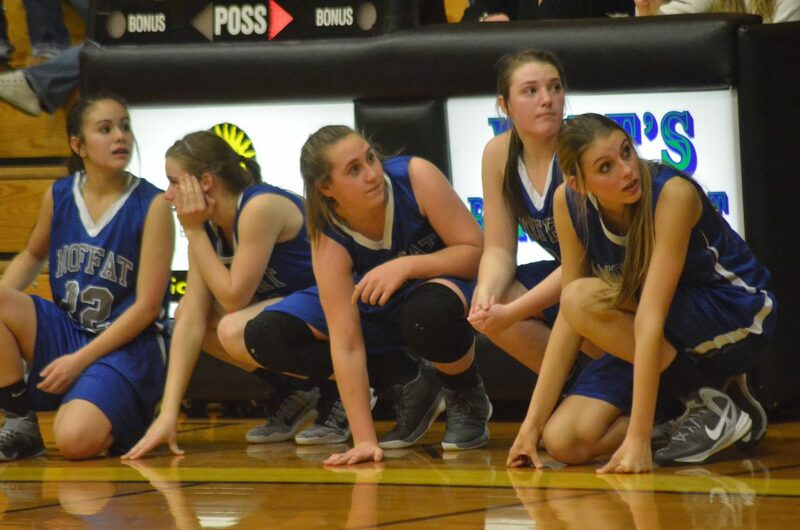 From left, Moffat County High School JV basketball players Makayla Martinez, Payton Voloshin, Amber Salazar, MaKala Herndon and Eliana Mack check with coaches before subbing in during a game against the Meeker varsity team. 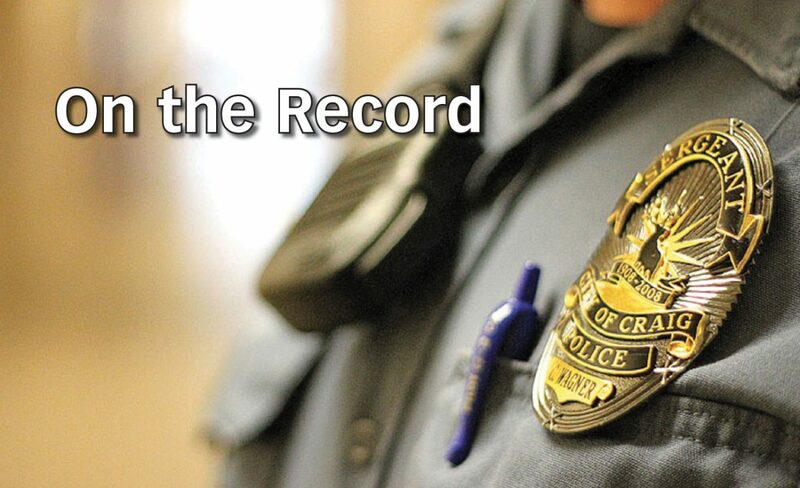 6 p.m. Craig Parks and Recreation fifth- and sixth-grade girls youth basketball at Sandrock Elementary School, 201 E. Ninth St.
6 p.m. Craig Parks and Recreation fifth- and sixth-grade boys youth basketball at Sandrock Elementary School, 201 E. Ninth St.
8 a.m. Elks Club Hoop Shoot Free Throw Contest at Sandrock Elementary School, 201 E. Ninth St.
11 a.m. Craig Youth Hockey Association 18U Midgets vs. Viewmont at Moffat County Ice Arena at Loudy-Simpson Park, 600 S. Ranney St.
11:15 a.m. Craig Youth Hockey Association 14U Bantams vs. Vail at Moffat County Ice Arena at Loudy-Simpson Park, 600 S. Ranney St.
4:30 p.m. Craig Youth Hockey Association 14U Bantams vs. Vail at Moffat County Ice Arena at Loudy-Simpson Park, 600 S. Ranney St.
8:15 a.m. Craig Youth Hockey Association 10U Squirts vs. Vail at Moffat County Ice Arena at Loudy-Simpson Park, 600 S. Ranney St.
9:45 a.m. Craig Youth Hockey Association 14U Bantams vs. Vail at Moffat County Ice Arena at Loudy-Simpson Park, 600 S. Ranney St.
11:30 a.m. Craig Youth Hockey Association 10U Squirts vs. Vail at Moffat County Ice Arena at Loudy-Simpson Park, 600 S. Ranney St.
4 p.m. Youth League Bowling at Thunder Rolls Bowling Center, 990 Industrial Ave.
5:30 p.m. Craig Parks and Recreation third- and fourth-grade girls youth basketball at Sunset Elementary School, 800 W. Seventh St.
5:30 p.m. Craig Parks and Recreation third- and fourth-grade boys youth basketball at Sunset Elementary School, 800 W. Seventh St.